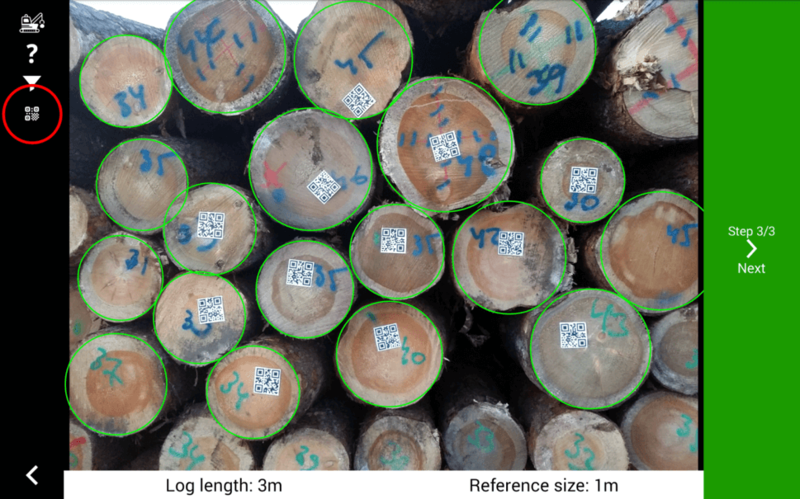 Timbeter has released the new feature that besides detecting the log diameters and calculating the piece count and the volume, also reads the information from QR codes. In just couple of minutes the QR code detection enables companies to easily and quickly detect the diameters of logs and obtain the information stored within QR codes attached to them. Meaning that, when earlier, companies had to measure the diameters manually and use the barcode reader to detect the information from the tags or codes, now everything can be completed with one photo picture. All the data is in digital form and can be easily shared or used for further processing. QR codes are currently only visible on the smartphone side during the measurement process. For better user experience, it would be beneficial if you are already familiar with using Timbeter. As this is a unique feature it does not automatically appear within Timbeter; please contact us if you are interested in trialing this feature. 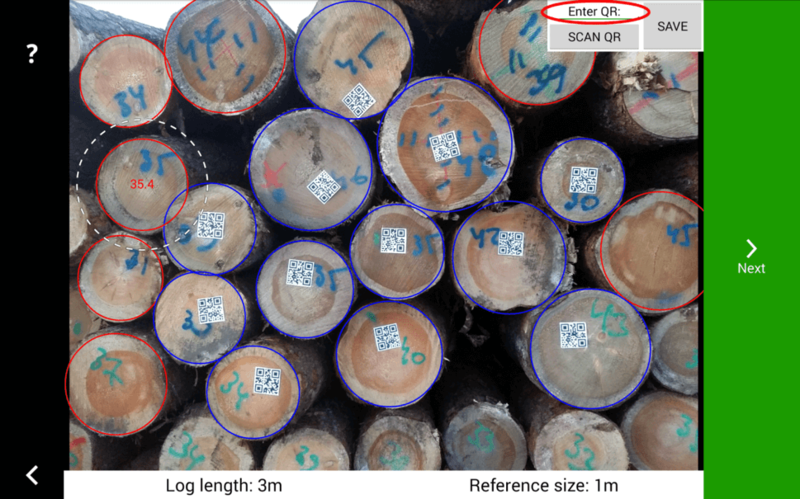 QR code detection is an optional step when measuring piles in diameter mode. 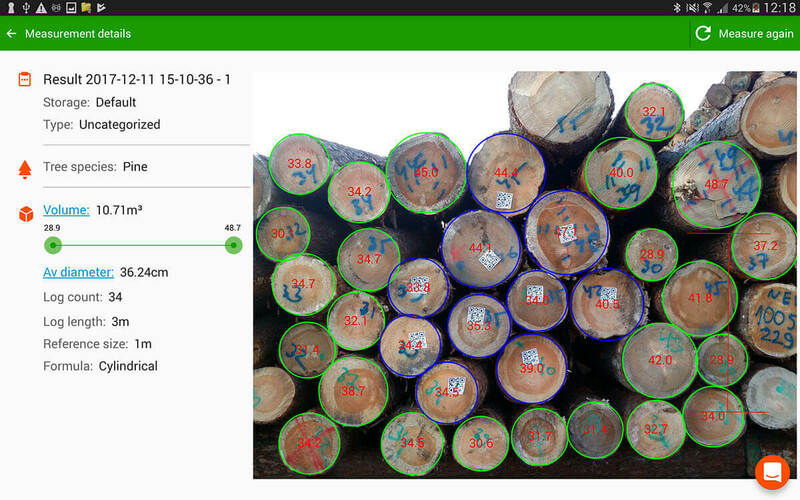 To detect QR codes, go through the measurement process as you normally would, until the log editing step. During the log editing step, a new button is available (see screenshot). After making any necessary edits to the logs, press the button to begin automatic QR code detection. To view the detected code, select a log by clicking on it. The decoded value will be shown in the upper right corner (see screenshot). 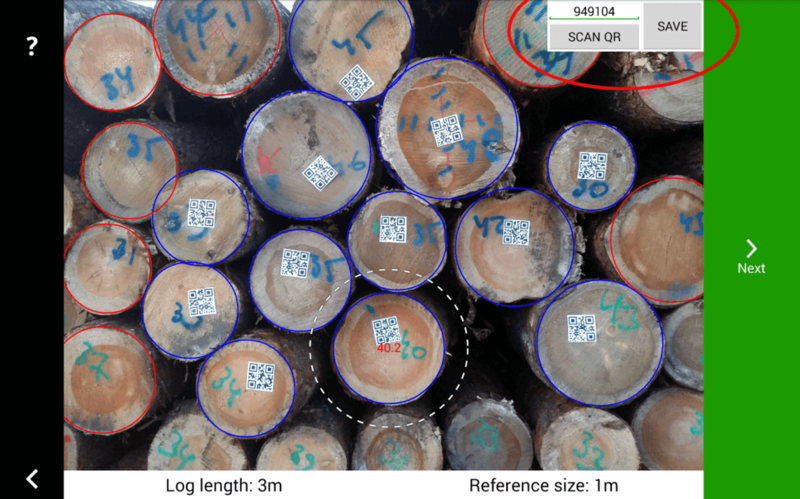 In case, a QR code exists on the log, but not detected; the QR code may be scanned individually as well. Select the log by clicking on it and press the “Scan QR” button to open the scanner. 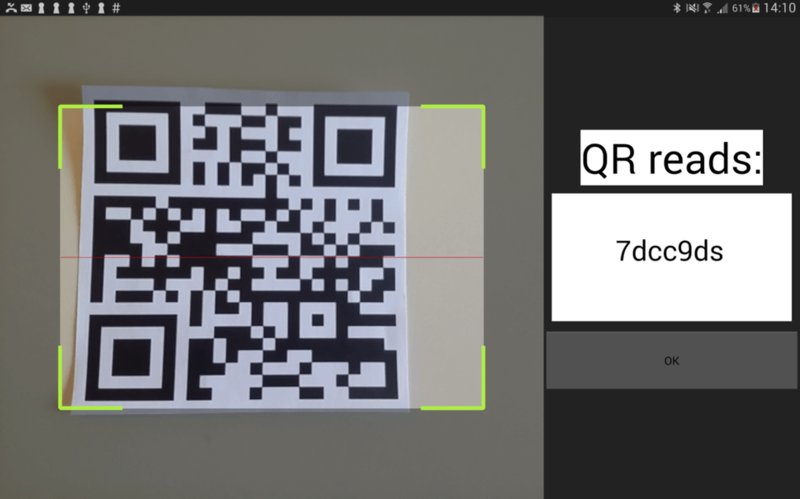 When in the code scanning view (see screenshot) the camera is turned on, you can scan a single QR code. Go near the log and aim your device so that the QR code correctly fits into the box. When successful, the decoded value will be shown on the right-hand side. Press OK to save it. Press Next to go back to the log editing step and then finish the measurement. Your QR codes will be saved and available from within the storage module.